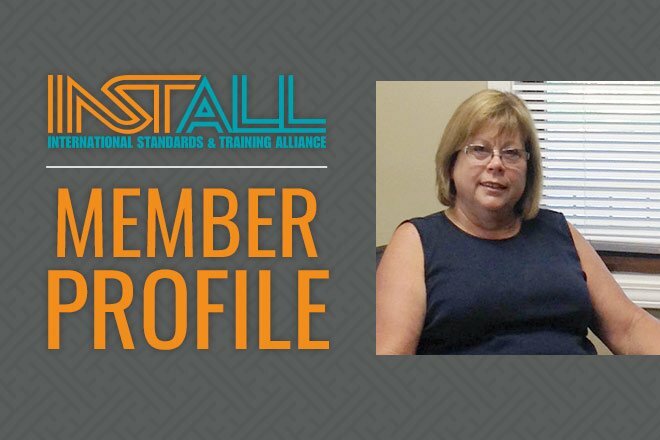 As the first INSTALL Warranty Contractor from Indiana, Barb Kidwell has seen a number of changes throughout her career. In her current position as president of American Floor Covering, Inc. (AFC), she continues to push boundaries and strive for excellence in installation skills, training and all-around performance. From material changes and environmental regulations to the growing need for certification and training regarding flooring preparation, the organization has been there along the way with complementary programs and courses. Barb’s staff is 100% INSTALL certified, and AFC is a thriving INSTALL Warranty Contractor.